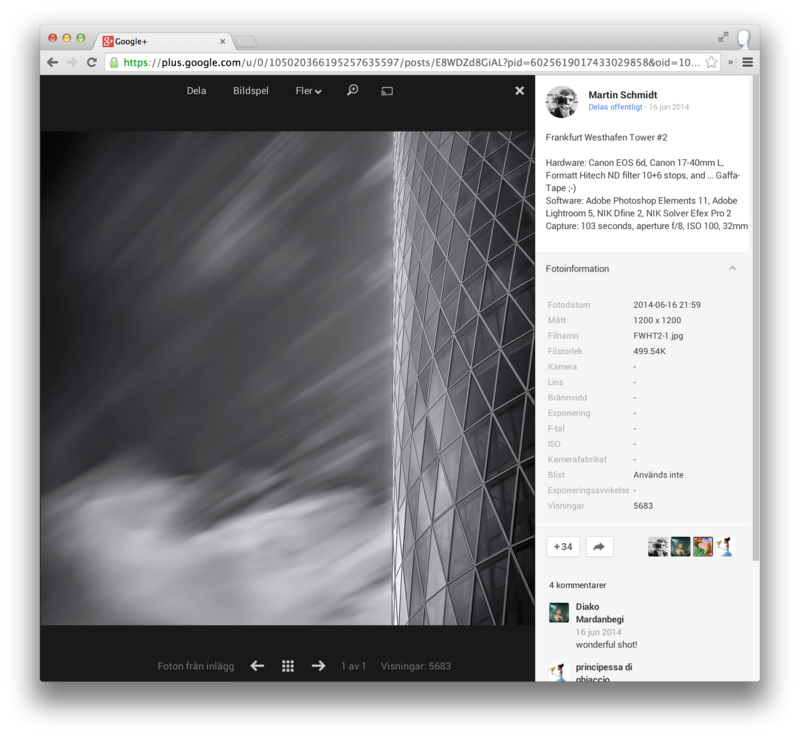 Using Google+ to share your work and get feedback? Me too – but did you know that you can get photo views on all public posts? It’s dead simple and available for all users. 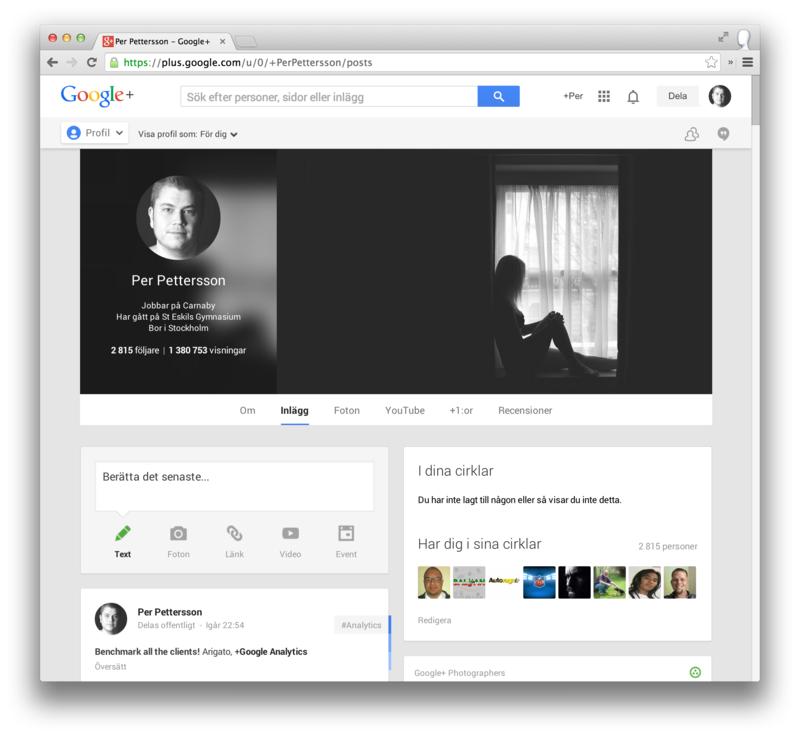 Go visit your Google Plus profile and scroll down to the photo you like to know more about. Open your photo and then expand the photo information menu to the right. Now you’ll see how many views this specific photo got. It’s available for all photos that have been posted publicly. 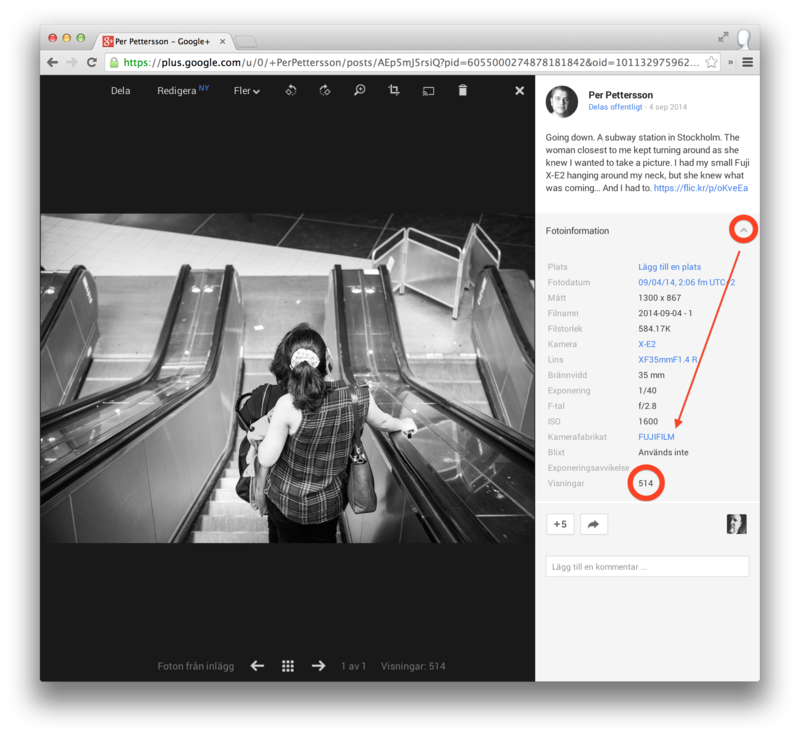 So if you’re a bit interested in seeing someones potential reach on Google+, use this feature wisely.